In 2013 world-renowned rock star and BDS enthusiast Roger Waters managed to upset the Anti-Defamation League after a performance in which he featured Stars of David alongside dollar signs. The ADL claimed that Waters employed an ancient despicable anti-Semitic stereotype. Indeed, the display was hateful, but how ancient was its message, really? Like many anti-Semitic stereotypes, the association of Jews with money was forged during a famous Passover Seder held in a Jerusalem inn approximately 2,000 years ago. 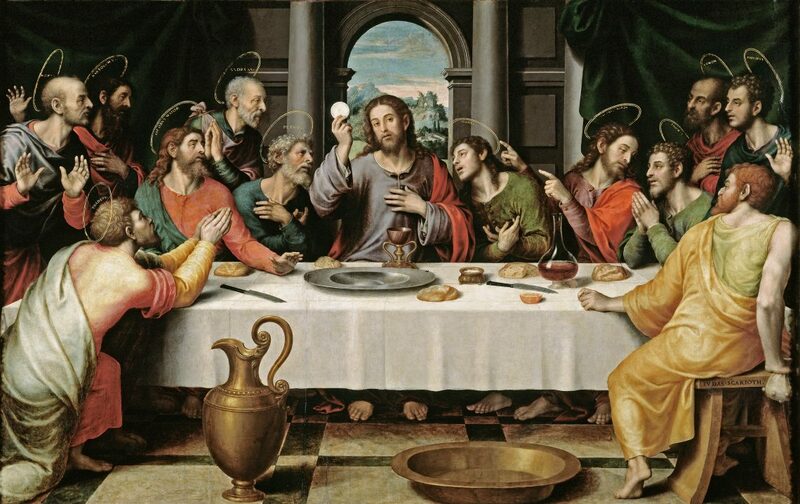 Known by the morbid name The Last Supper, that meal was interrupted by Roman soldiers lead by Judas Iscariot, one of Jesus’ closest supporters. According the New Testament, Judas came in and kissed Jesus so that the Romans could identify him as their suspected traitor. For centuries, the story of Judas turning Jesus in was utilized to inspire animosity between Jews and Christians. According to the story, Judas gave Jesus up for a sum of thirty shekalim – a considerable amount of money in its time. Now we should give a little historical context. In the early centuries of the first millennia, Christianity spread throughout the Roman world until it was declared the Roman Empire’s official religion. Nonetheless, the Jewish people persistently clung to their old religion, a provocative act within the Roman-Christian world. There is an ultimate contradiction between the Jewish idea of an eternal law given exclusively to the Children of Israel on Mount Sinai and the Christian notion of a universal religion. Because of this tension, and in an effort to elevate its own interests, the Christian church felt the need to paint a dark picture of Judaism. The emphasis on Judas betraying Jesus for money was, therefore, a shining example of anti-Jewish propaganda. Judas’ act has become Christianity’s symbol for both betrayal and greed. The negative depiction of Jews as money-hungry backstabbers maintained its popularity until the Middle Ages. At that time most Christians were illiterate and only knew the story of Judas from pictures; they were not aware of the fact the Jesus was himself a Jew. They knew, however, that Judas was a Jew, both because of his typical Jewish name and because of the way he was depicted in pictures — with a bundle of money in his hand. Apparently Marshall McLuhan’s old saying that “the medium is the message” had already taken hold. Throughout the Middle Ages, the caricature of the rich greedy Jew was nurtured by Christian authorities. The walls and ceilings of Europe’s most magnificent cathedrals featured illustrations, sculptures and frescoes depicting Jews as blood-sucking leeches. One the most popular images was the visual motif of the “Judensau” (the “Jews’ sow”) wherein Jews appeared in obscene postures, sucking from a sow’s udders. The pieces were commissioned with full knowledge of the pig’s status as the most impure creature in the Jewish religion. At some point it became clear to the ecclesiastical establishment that in order to implement the stereotype of Jews as rich and greedy, sculptures alone would not suffice. They began disseminating legal orders excluding Jews from a number of professions, banning them from universities and precluding them from owning land. The Jews were left with no choice but to make a living from commerce, peddling, and money lending. But, lest there be any confusion, Jews did not become rich lending money. The Christian nobility, on the other hand, for whom it was forbidden to lend money, made huge profits using Jews as their collectors. In their new status, Jews had to confront borrowers who were usually poor peasants and tenant farmers. Naturally, these poor borrowers came to loathe the Jewish collectors. To put this idea in perspective, who are you angrier at when you get a parking ticket, the mayor, or the inspector who actually hands you the ticket? The image of the greedy Jewish moneylender appears in countless works of art and literature. Perhaps his most famous incarnation is in William Shakespeare’s “The Merchant of Venice,” where he is depicted as Shylock the Jewish moneylender, bearing a telltale oversized nose. 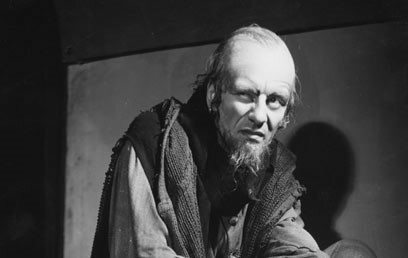 When Shylock loans 300 ducats to a Christian merchant named Antonio, he demands no interest, instead requiring that, should Antonio fail to return the sum within three months, Antonio will give him a pound of his own flesh. When Antonio fails to pay, Shylock will not settle for repayment of the debt, instead insisting on personally cutting the flesh from Antonio’s body. This play was written in the 16th century, 300 years after all of England’s Jews had been deported. “The Merchant of Venice” reinforced the then common Christian perception that a Jew is greedy, cynical and merciless. So powerful was the play’s impact on popular culture that four centuries later Nazi propaganda utilized its powerful and dangerous message, producing dozens of adaptations of the play throughout 1930s Germany. 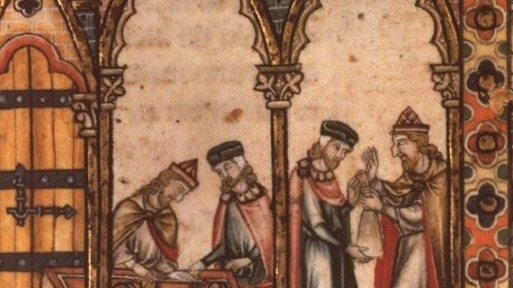 In their book “The Chosen Few: How Education Shaped Jewish History,” researchers Maristella Botticini and Zvi Eckstein offer another explanation for the association of Jews with money in the Middle Ages. The researchers claim that, following the destruction of the second temple, a dispersed Jewry had to maintain an intellectual net of theoretical texts in order to preserve their Jewish identity. Therefore they had to be literate and pass reading skills on to their children as well, thus becoming educated as a rule and therefore more successful than many members of the non-Jewish societies they lived amongst. Historians agree, however, that most mediaeval Jews were poor. The difference between them and their non-Jewish counterpart was that they maintained social networks and institutions to provide mutual aid. The rich donated to the poor and the poor enjoyed services offered by the community such as health care, wedding funds and charity. While it is estimated that in the 18th century about 75% of European Jews earned a living as moneylenders and from related services in loans, banking and commerce, scholars believe that the correlation between Jews and money strengthened during the modern era. 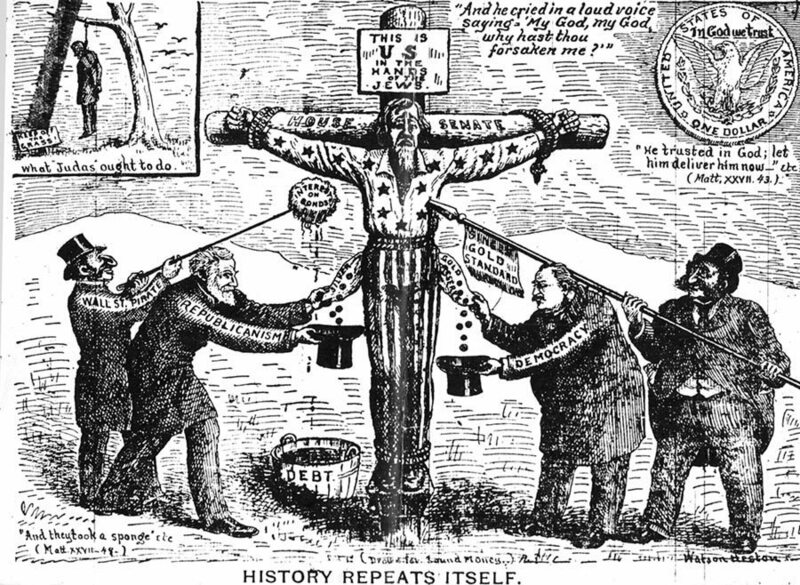 In particular, the 19th century industrial revolution afforded Jews an opportunity to become extremely wealthy thanks to an extensive network of inter-communal relations that resulted in a Jewish oligarchy that overtook entire trades. One of the outcomes was a rise in anti-Semitism. Take, for example, the Rothschild dynasty. The founding father was Meyer Anschel Rothschild, a coins supplier and personal council to Prince Wilhelm in the 18th century. Meyer established a bank that became a banking empire with branches all over Europe, run by his heirs. The Rothschilds went into railroad construction, mining the Suez Canal, the wine trade and the early cinema industry, to name a few industries. 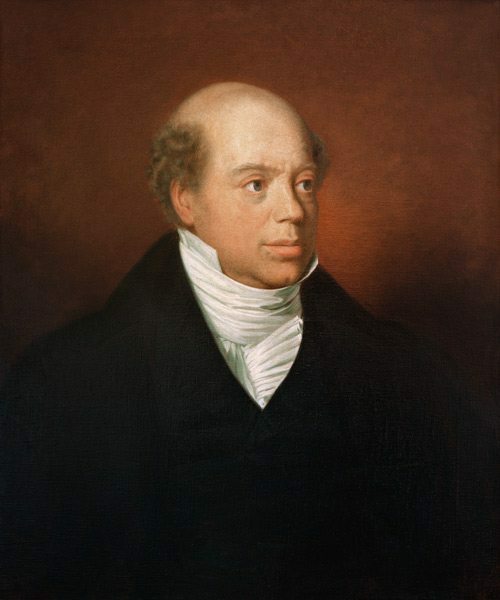 Their financial prominence and international positioning led to some absurdities, such as when Nathan Meir Rothschild financed the wars of England while his brother, Shlomo Meir, invested in rehabilitating Austria from the effects of the very same wars by founding the Austrian national bank. Among the 19th century’s superrich Jewry were the Baron Israel Hirsch from Germany, one of the founders of the Austria-Hungary railway network; the Poliakovs, who constructed railways throughout Russia; the Brodezki family, who monopolized the sugar trade in Russia; and the Wissotzky family, owners of an international tea company. Between the Brodezki’s sugar and the Wissotzky’s tea was borne a famous Russian joke: two Jews actually control each and every cup of tea you enjoy. This growing wealth in Jewish hands fed the flames of public rage. The socialists criticized the Jews from the left for being greedy capitalists, while the political right proliferated anti-Semitic and racist sentiment. In the late 19th century, the millions of Eastern European Jews who immigrated to America did not abandon their heritage of financial practices on Ellis Island. Over the years they entered many key positions in New York’s financial industry and on Wall Street. Names like Lehman Brothers, Solomon Brothers and Goldman Sacks are known worldwide, but there were many others. Since 1987 all heads of the Federal American Bank have been Jewish, as well as four out of eight Secretaries of the Treasury and three out of twelve chiefs executive of the World Bank. A 2008 Pew Forum study found that Jews are the wealthiest ethnic-religious group in the United States. 46% of them earn more than $100,000 per year, compared to 19% of non-Jewish Americans. These statistics, together with the fact that over 100 of the 400 richest people on earth are Jewish, help fan the flames of anti-Semitism. These truths are why The Protocols of the Elders of Zion — or even Roger Waters’ anti-Semitic performance — still resonate. Myths often contain a seed of truth, and so the seed of the long and rich history of Jews and money, in the hands of bigots, has given rise to an ugly and dangerous myth.